Just as we did in 2018, we will accumulate a list of the publically known ransomware attacks that occur throughout this year. We will do our best to keep this updated, but many hands make light work. Feel free to drop comments below if you’re aware of an attack that we have missed. Bridgeport Public Schools – Connecticut – Ransom demand was not disclosed, and it remains unknown if payment demands were met. City of Del Rio – Texas – Ransom demand was not disclosed, and it remains unknown of the payment demands were met. City of Sammamish – Washington – Ransom demand was not disclosed, and it remains unknown of the payment demands were met. Salisbury Police Department – Maryland – Ransom demand was not disclosed, and it remains unclear if officials paid the ransom demands. Southern Hills Eye Care – Iowa – Ransom demands were not disclosed, nor was any intentions to pay. Melbourne Heart Group – Australia – Ransom demand was not disclosed, but they did report to paying it. Not all files were restored even after submitting payment to the hacker. Madras University – India – The ransom demand was approximately $25k USD, but they did not report to paying it. Instead, they restored their systems using backup files. Florida ISP Network Tallahassee – Florida – The ISP reportedly paid the hackers $6,000 in an attempt to their networks. Town of Colchester – Connecticut – The ransom demand was not disclosed. It remains unclear if the Town will pay the demands to restore their networks. Park Rapids Public Schools – Minnesota – The ransom demands weren’t disclosed, but it does not appear they intend to pay. Instead, they will restore using backup files. Taos Municipal Schools District – New Mexico – Hackers demanded a $5,000 ransom payment. The school opted not to pay. Jackson County – Georgia – The initial ransom demand is unknown, but the county did pay the hackers $400,000 in an attempt to restore their networks. Oberlin College – Ohio – The ransom demand was for 1 bitcoin, per student (approx. $3,800). The number of ransoms paid is unclear. Grinnell College – Iowa – The ransom demand was for 1 bitcoin, per student (approx. $3,800). The number of ransoms paid is unclear. 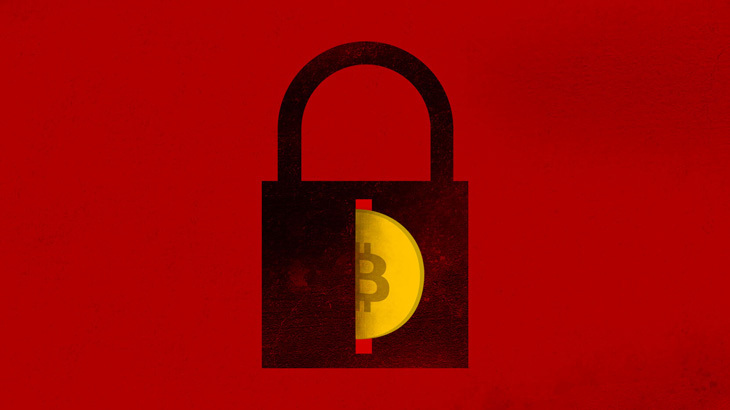 Hamilton College – New York – The ransom demand was for 1 bitcoin, per student (approx. $3,800). The number of ransoms paid is unclear. Sir John Colfox Academy – England – The ransom demands have not been disclosed, nor has the Academy’s intentions to pay. City of Albany – New York – The ransom demands have not been disclosed, nor has the City’s intentions to pay. Police Federation of the United Kingdom – UK – The ransom demands have not been disclosed, nor have the intentions to pay. Orange County – North Carolina – Officials reported ransom demands have not been received. Brookside Medical Center – Michigan – Hackers demanded a $6,500 ransom payment. The facility opted not to pay and closed the facility instead. Stratford City Hall – England – Ransom demands were not disclosed, nor was any intentions to pay. Garfield County – Utah – Ransom demands were paid, although the amount is unknown. Algoma Public Health – Canada – Ransom demands were not disclosed, nor was any intentions to pay. Stone Mountain Park Association – Georgia – Ransom demands were not disclosed, nor was any intentions to pay. City of Stuart – Florida – Ransom demands were not disclosed, but city officials claimed a payment will not be made. Howard County – Indiana – Ransom demands were not disclosed, nor was any intentions to pay. Imperial County – California – Ransom demands were not disclosed, nor was any intentions to pay. Genessee County – Michigan – Ransom demands were not disclosed, however, officials reported they did not pay. City of Greenville – Ransom demands were not disclosed, nor was any intentions to pay. We were attacked by the ransomware called RYUK. They demanded $250,000. It wiped out 25 PC’s and Server. Restored from backup and wiped all 25 PC’s. We were down for 4 days now still limping along while waiting to replace Server.